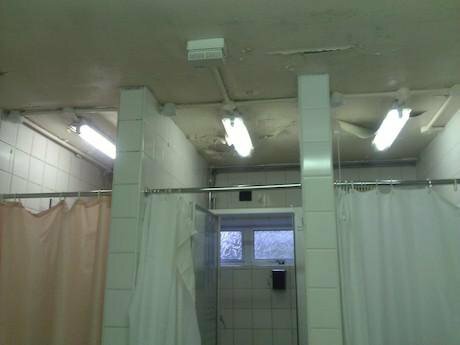 The hidden injuries of asylum housing — inflicted by G4S. Luke is a young African asylum seeker. We met over a coffee in a drop in centre in the North East of England. We talked about his everyday life as a new asylum seeker. He was bored and frustrated waiting for interviews and decisions on his asylum claim. He told me: “I do not know why they want to humiliate us — we are simply trying to get a place of safety”. Luke told me how he had ended up in dirty overcrowded asylum accommodation. He had spent more than a month in the government's ‘Initial Accommodation Centre’ called Angel Lodge — it stands in the grounds of Wakefield high security prison, and it's run by the security company G4S. He kept a food diary, using his mobile phone to photograph his main meals each day. The meals include stewed meat with tinned mixed vegetables (carrots, peas, beans and potatoes). A greasy stew with frozen chips and a squirt of Luke’s ketchup. Overcooked plain pasta with a dubious mince meat and vegetable sauce, again with an essential ketchup dressing . . . drab, poorly cooked food, only rarely with fresh vegetables. Families with young children are among the 200 people who live at Angel Lodge. When Luke was there, he said, there was no fresh milk for two days – children had powdered milk. Over the past few months I've interviewed six other residents . . . They tell a similar story: ‘awful’ food, dirty dining room, and rude, racist staff contemptuous of complaints. Visiting nurses used hand gestures to communicate with anxious mothers about their health and that of their children, Luke said he saw no interpreters. He said he had not been offered any health and safety briefings on life in the centre. Luke felt warehoused in shared rooms in the overcrowded hostel. There were two washing machines working — for more than 200 people. Luke said he had to wait days to wash his clothes. There was no personal mail service: one of Luke’s letters remained in the centre office for a week before he was told to collect it. There were three showers, dirty and uncleaned, for forty people. I talked to Jane (not her real name), an African lone mother asylum seeker as she showed me round cramped accommodation she shared with her two children in the back streets of a town in the North East of England. Jane had found herself homeless in West Yorkshire waiting for interviews for her asylum claim. Friends who were giving her a home had to leave their property and Jane had to seek asylum ‘support’. Jane had managed to get nearby nursery school places for her two daughters and a promised school place for her four year old. The family were moved to Angel Lodge and spent two miserable weeks in the overcrowded centre. Jane refused to allow her toddlers to use the play area which she describes as “smelly and dirty”. The food was “unhealthy and inadequate”. For short periods overcrowding meant that she was moved to a hotel in Wakefield and given vouchers for expensive meals - £25 a day for each of them which Jane regarded as lavish and ridiculous. Jane found staff at Angel Lodge poorly trained and rude. They entered her room whenever they liked but provided no cleaning equipment so that she could keep her living space clean for her toddlers. Despite the fact that G4S houses more than 1000 asylum seekers in West Yorkshire Jane was sent 90 miles away from her friends and networks to Teesside on Christmas Eve (yes Christmas Eve). On arrival Jane was told to sign an agreement for a house she had not seen. Jane was then dumped with her children in a G4S/Jomast house with two other asylum seeker families. When I visited Jane in her accommodation she was clearly distressed — not about the terraced house which was clean and well maintained, but the overcrowding. The house has five rooms, three of which has a family in each room. The only bathroom and toilet for Jane and her two small daughters which they shared with four other people were down a steep flight of stairs and through the communal area and through the kitchen. The toilet facilities led directly off the kitchen (against the local council’s own licensing regulations). Jane had one small cupboard for all her and her two childrens’ things. Jane has no private food cupboards, she has to share a fridge freezer. Jane had to face all this after being dumped in a strange town in Christmas week in a house with families from very different countries, and no chance of finding school places for her children for months. I met a very cheerful Sarah (not her real name) in an advice centre – she had just received the news that she and her toddler son had been given ‘right to remain’. Sarah is a doctor who herself worked with refugees in her home country in Africa. Sarah and her child were transported to the North East and dumped on the top floor of a seedy HMO (House in multiple occupation). The Home Office call this “dispersal”. She was adamant that I should tell her story and the shabby and degrading treatment of herself and her child. Sarah had shared a crowded room with her son; there there was a bed for the toddler — next to the gas cooker. Sarah was appalled and demanded a move and better treatment for her child, for instance safety gates on the steep stairs in the property. Jomast, the G4S landlord, refused saying the council would not allow gates because they were a safety risk for fire evacuation. There were seven adults and three children in the six room house. There were broken windows and a small rubbish strewn yard with an old bed dumped in it (top picture). When Sarah demanded some acceptable play space for her son she was told that “Jomast are not responsible for play areas”. Jomast officers refused to move Sarah, but Sarah has moved anyway — to start a life as a refugee doctor in the Midlands. Asylum seekers have been forced into Angel Lodge before, it had been used from 2007 to 2011, and was closed down in March 2011 amid controversy regarding multiple fire safety failings and shocking living standards. Wakefield Magistrates' Court was told that the only way to raise the alarm at Angel Lodge was to shout 'fire', even though most residents could not speak English. Since last autumn the centre has been overcrowded because G4S failed to plan for the 25 per cent increase in demand for asylum housing in 2013. Civil servants from the National Audit Office in their report to the Public Affairs Committee in January 2014 disclosed that G4S and its subcontractor Urban Housing Services (part of the Citrus Group) had defied Wakefield council and Planning law by exceeding the numbers agreed by the Planning authority in Angel Lodge. The Report disclosed that “G4S has continued to house more than 200 people in the initial accommodation” (NAO Report p20). Reports from visitors to Angel Lodge in early March suggest overcrowding is still a major issue – and is likely to get worse as asylum seeker and asylum housing numbers continue to rise in the UK for the first time since 2000. There have been government agreements with local authorities since 2003, to manage numbers of asylum seekers – G4S has ignored these. A protest from the leader of Rotherham council in South Yorkshire followed G4S moving a larger concentration of people into asylum housing there than in the whole of the Leeds city area. Middlesbrough in the North East has also exceeded agreed limits. Both Rotherham and Middlesbrough have one thing in common – a supply of cheap and very poor quality private rented sector housing. 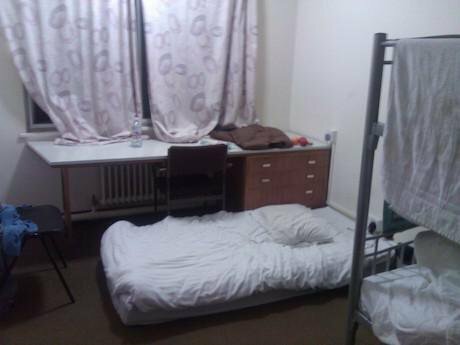 A house with single asylum seekers was left with no heating for two weeks in the bitter weather of December 2013. Another asylum seeker was allocated a house with smashed furniture and broken crockery. A young Iranian had a room with no lighting for weeks. A couple were allocated accommodation with no storage space at all – no wardrobe no cupboards. A 24 hour ‘emergency’ repair for smoke alarms took three weeks. In Liverpool, where Serco operates the COMPASS contract, things seem to be even worse than in the G4S areas. Despite the fact that the city houses 1200 asylum seekers details of addresses are not given to the local authority for vetting or licensing. The ‘Sunday Echo’ on 16 March reported that Asylum seekers in Liverpool are “forced into dirty, cramped and dangerous housing” .The newspaper “has found evidence that some homes are well-below the standard demanded by the Home Office, and that some properties are regularly targeted by racist abuse." 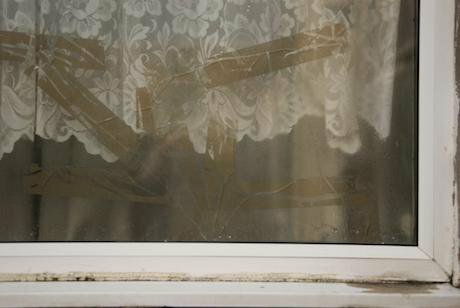 The revelations come after the council was forced to prosecute the firm for the “shocking” conditions of one house. 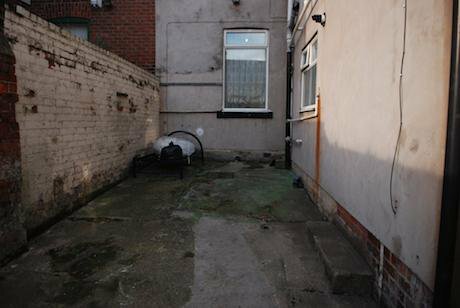 It led to the company being fined more than £10,000 last October for packing seven tenants into the terraced house without a multiple occupancy license. Council inspectors discovered multiple fire hazards at the property, including doors restricted by kitchen appliances that would hinder refugees fleeing a blaze…. A dignified standard of living? "The best interests of the child shall be a primary consideration for Member States when implementing the provisions of this Directive that involve minors." Despite the risks, asylum housing tenants continue to speak out for themselves and their children, making their hidden injuries public, and continue to organise their networks for support and resistance. Serco in Scotland have had to recognise asylum tenants' groups and in Yorkshire and the North East in various centres tenants and asylum seekers have forced G4S to concede to them the right to feed back their views and criticisms of housing abuse. The fight for dignity, respect, and decent housing continues.